I work from home and am sitting at my desk in front of the computer quit a bit. I use file folders often and have a filing cabinet next to my desk. Well, Lillian loves to write her own information on the file folders and file her “paperwork”. 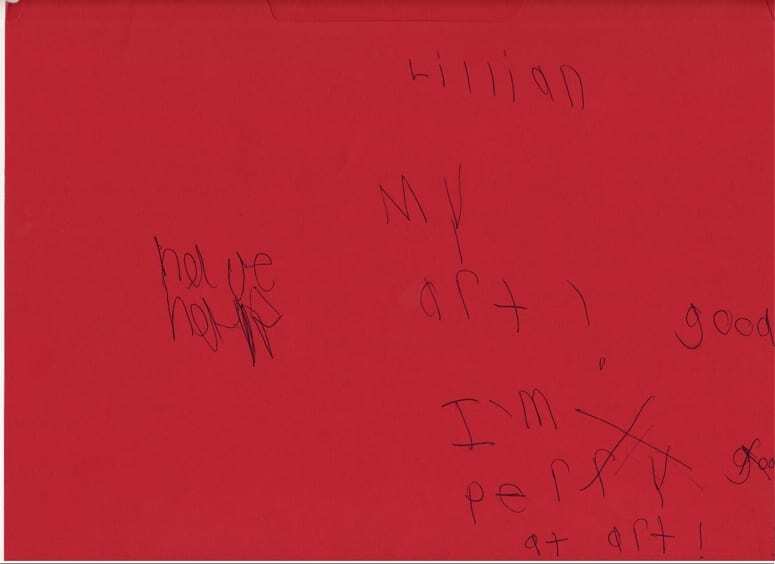 Yesterday, she wrote, “Lillian – My Art! 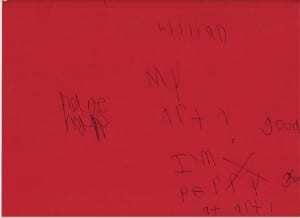 I’m pretty good at art!”. I asked her who told her she was good at art and she said “Lillian”; then she added that her brain told her! I think I’ll use that answer some time when I get asked a question for which I don’t know the answer! Remember Being a Kid?